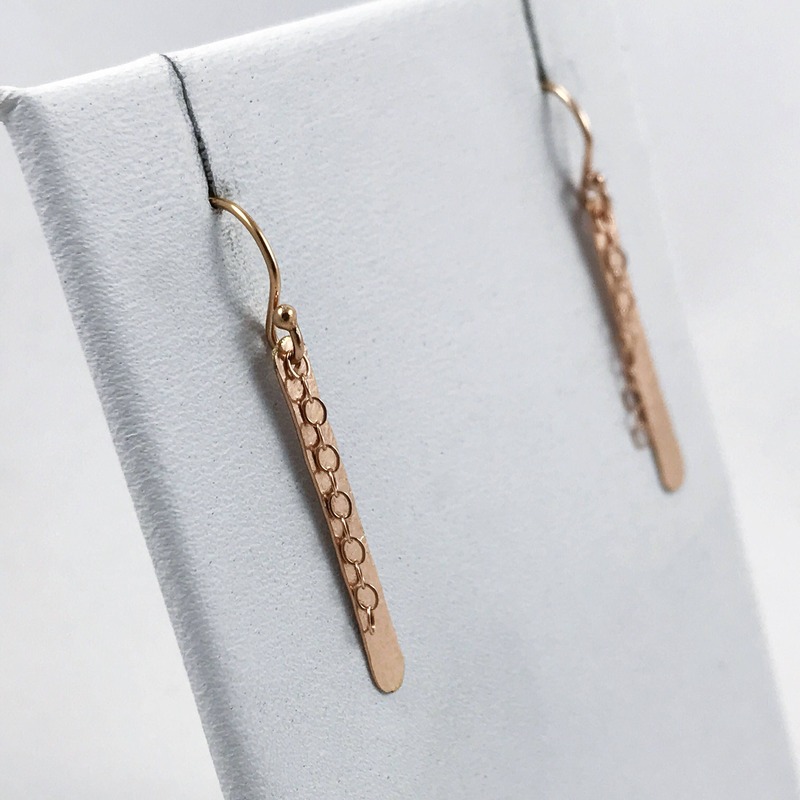 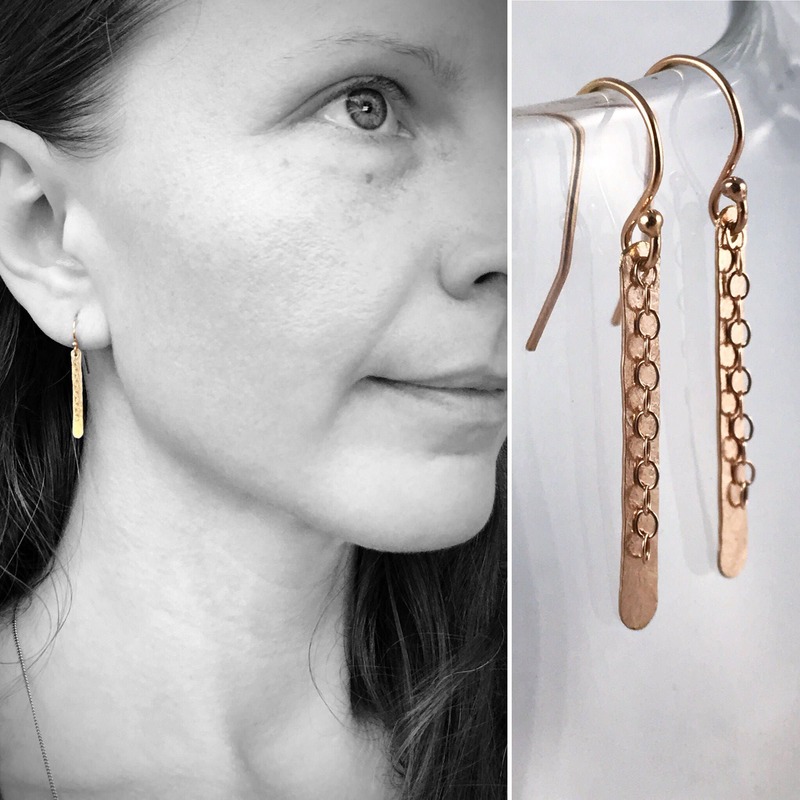 Rose Gold Vertical Bar Chain Earrings - 14k Rose Gold Filled - Minimalist - Hammer Formed - Subtle Hammered Texture - "Shimmer Earrings"
Simple and elegant 14k rose gold filled "Shimmer" earrings. 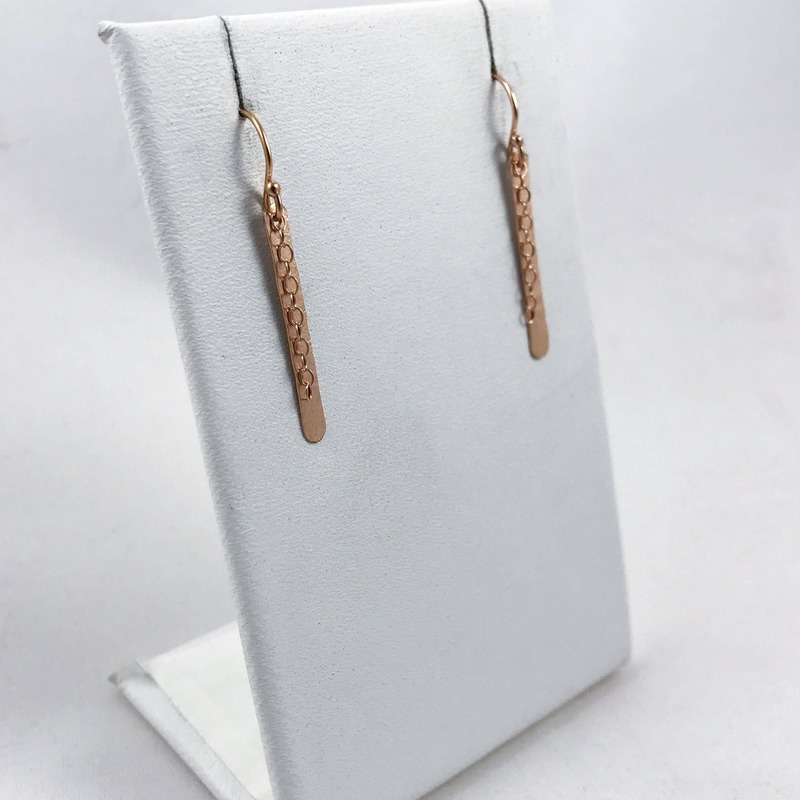 Hammer formed minimalist design with a gorgeous subtle rustic hammer texture and delicate chain features. 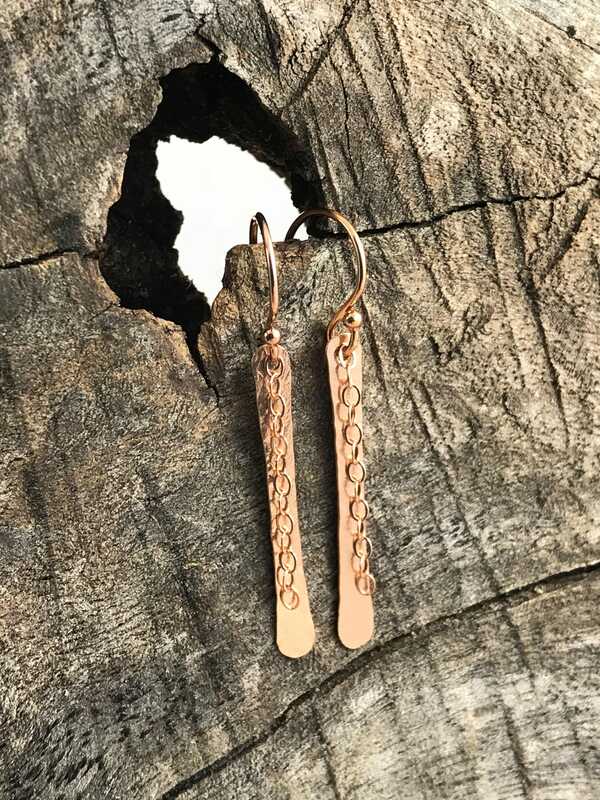 Both the hammered rose gold bars and the chains move and catch light beautifully. 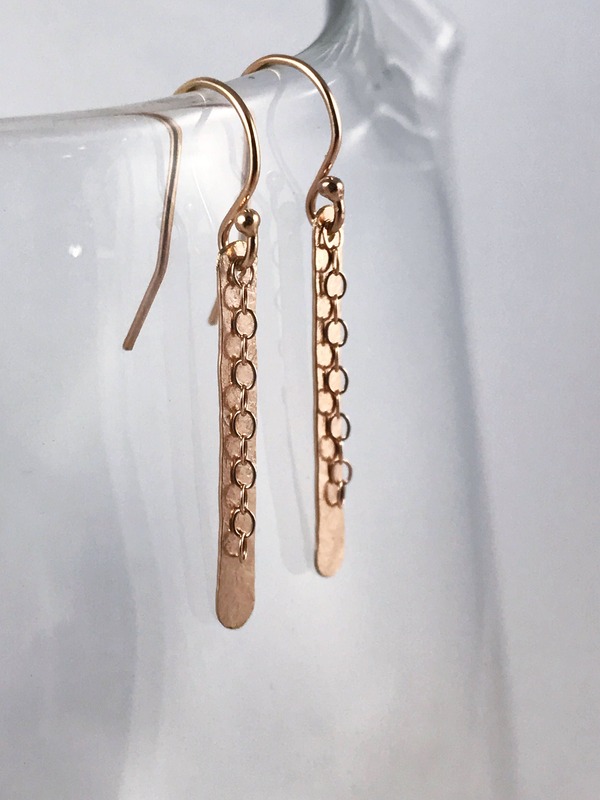 They are lightweight, comfy and look amazing with just about anything. 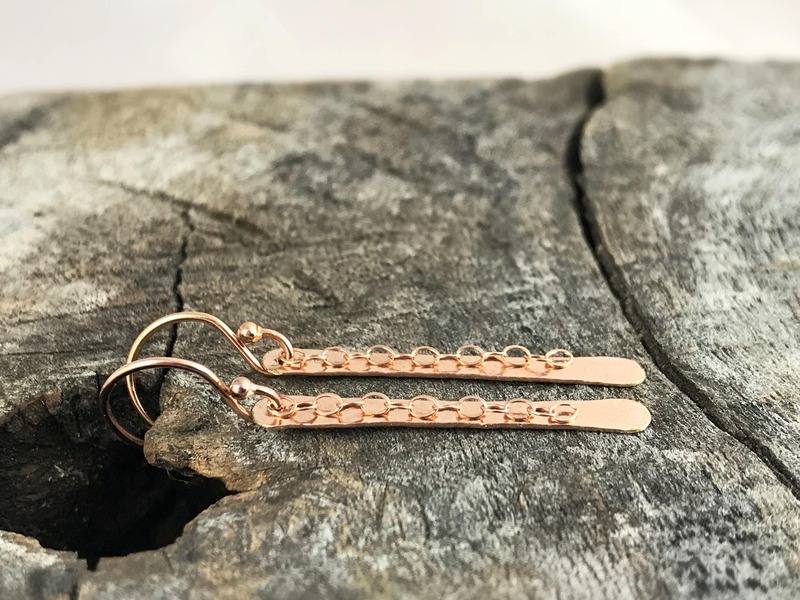 -Earrings and earring hooks are 14k rose gold filled. 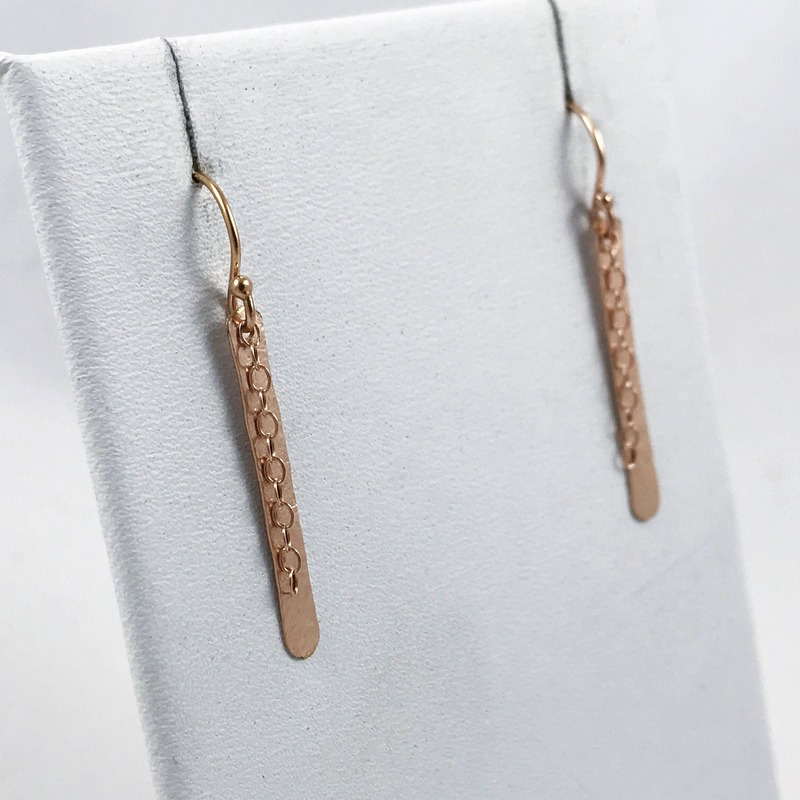 -14k rose gold filled flat cable chains dangle in front of each bar giving extra light play and movement. 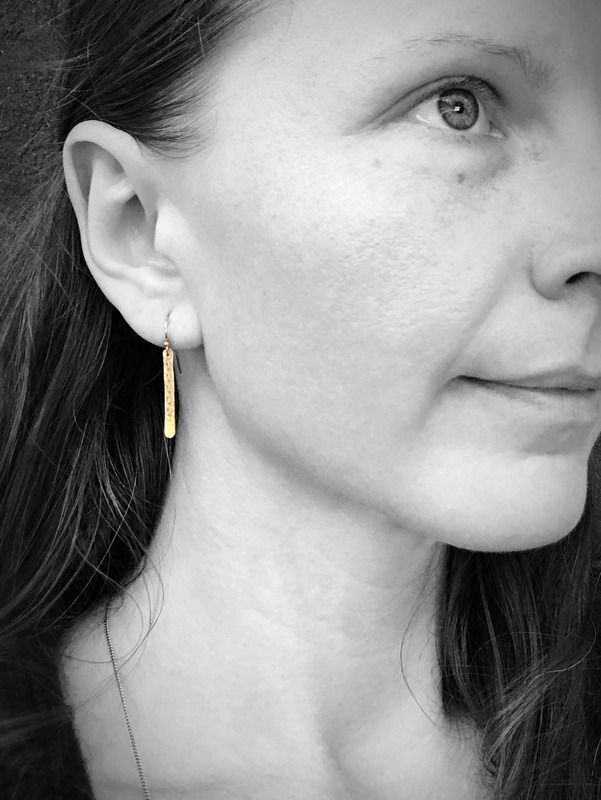 -Gold filled bars are 25mm (1") long and 3mm (1/8") wide.